Homemade Tea Tree Oil Shampoo - beautymunsta - free natural beauty hacks and more! Bust scalp acne, dandruff, itchy scalp, etc with this homemade tea tree oil shampoo! Tea tree oil is good for many things. 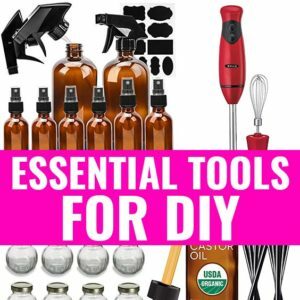 But it’s a true winner when it comes to DIY beauty! 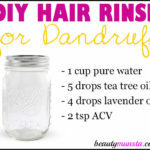 It’s helpful for getting rid of humongous zits, dandruff, itchy skin, eczema, and more! One of the most popular ingredients in shampoos these days is tea tree oil. 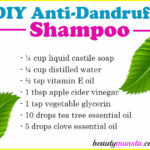 I’ve personally used tea tree oil based shampoos and they worked great at solving hair and scalp issues. But the one problem with them? They contain a whole host of other unnecessary ingredients that are actually harmful to use. These ingredients include parabens, artificial fragrances, SLS (sodium lauryl sulfate) and other chemicals. That’s why in today’s post, I want to show you guys how you can make your own homemade tea tree oil shampoo! 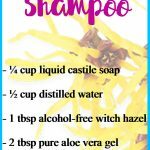 This shampoo is super easy to make, provided you have the right ingredients on hand. What’s more is that it forms a nice lather so it’s just like conventional shampoo or better since it comes without any toxic additives! Okay, let’s head onto the homemade tea tree oil shampoo recipe! Using a funnel, carefully pour ½ cup of distilled water into an old shampoo bottle or soap dispenser. You can also use any clean container of your choice. Make sure it’s a bottle for easy application. Now slowly pour ¼ cup of liquid castile soap into the bottle. Next, add 1 tsp of vegetable glycerin and 2 tsp of jojoba oil. Finally, add 10 drops of tea tree essential oil. Cap the bottle and gently shake it to combine the ingredients together. 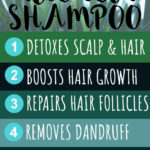 Your homemade tea tree oil shampoo is ready! Store in a cool dry place for up to 4 months. Use in place of your usual shampoo. 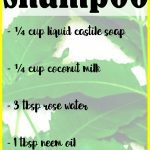 Guys, go ahead and try this easy homemade tea tree oil shampoo! It is very effective in treating scalp problems and it leaves your hair feeling fresh and clean!